“The New” Daniel Bryan is scheduled to defend the WWE Championship against AJ Styles, Randy Orton, Samoa Joe, Jeff Hardy and Mustafa Ali inside the dreaded Elimination Chamber at the Elimination Chamber this Sunday. Ali, however, may be unable to compete in the match due to injury. According to F4WOnline and PWInsider, Ali suffered a concussion at Sunday’s WWE SmackDown live event in Fort Wayne, Indiana. Ali teamed up with Tye Dillinger to beat Samoa Joe and Shelton Benjamin. He sustained the concussion when he jumped into the corner of the ring and hit his head on the turnbuckle. 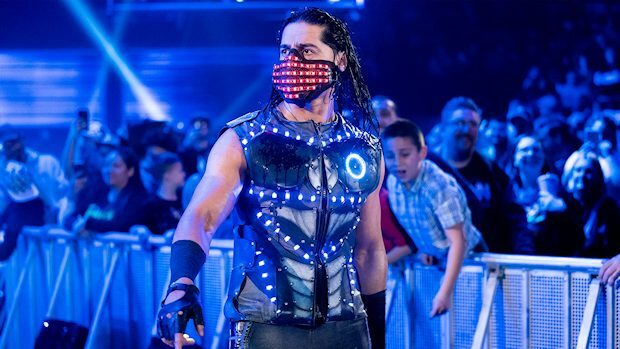 Ali is scheduled to be evaluated at today’s SmackDown LIVE event in Toledo, Ohio to determine if he can compete in the Elimination Chamber Match. Ali told WWE officials that he can work the match, but they’re being cautious with him. Ali has also been working with injured tailbone that got reaggravated two weeks ago during the Men’s Royal Rumble Match. Then last week on Smackdown LIVE, Ali’s eye was swollen shut after sitting up into Randy Orton’s boot while “The Viper” did the Garvin Stomp.